We are moving quickly toward Rosh Hashanah, which makes this a good, maybe even necessary, time to consider what the holiday is all about. But don’t we already know that? It’s the new year. It’s a prelude to Yom Kippur. Both of these, of course. However, these reasons are not only not enough, according to biblical researcher and scholar Roger Isaacs. He says we should look harder, dig deeper and find another, truer meaning in this special holiday — what he claims is its originally intended purpose. The actual words Rosh Hashanah — “head of the year” — are nowhere to be found in the Torah, Isaacs tells us. They do occur once, in Ezekiel (40:1), but there they are used in reference not to a new year, but to a jubilee year, which is the one that ends each seven-year calendar cycle and is considered a time of rest. And there it is: “Rest” is at the core of the forthcoming holiday, according to Isaacs’ theorizing. He says our actual new year is specified in Exodus 12:2, when “ … the Lord said to Moses and Aaron in the land of Egypt. … This month shall be the head of months (i.e. Rosh Chadoshim) for you. It will be the first of the months of the year for you.” And that ordained new year refers to the month of Nisan, which now comes seventh, not first, in our Jewish calendar. Of course, on the first of Tishrei we do have a service — the religious service that introduces our High Holy Days. But in Isaacs’ interpretation, that is not the kind of working “service” God had in mind. Wasn’t He, as Isaacs insists, mandating not the start of a major holiday period, but a day of rest? To be the new year, then, was not the primary purpose of our Rosh Hashanah. And neither was it meant to be the day on which we begin praying and acting in earnest to avert the severe decrees that might await us on Yom Kippur. It was intended to be one of the days of rest set aside by Exodus 20:4, the Ten Commandments: “ … Because in six days the Lord made the heaven and the earth, the sea, and all that is in them, and He rested on the seventh day … ” Isaacs suggests that Rosh Hashanah is really an important day of rest before our Sabbath of Sabbaths. It’s been called a jigsaw puzzle put together from words of other ancient languages matched to their Hebrew counterparts in the Torah, for Isaacs believes that when words we translate today as “holy,” “glory,” “sin,” etc., are found to have other meanings, what we consider standard interpretations can offer up important differences. I’m not a scientist, but Isaacs’ take on the real meaning of Rosh Hashanah seems tame enough for a start, so I’ll be trying to complete a reading of his book between Selichot and Yom Kippur. Wish me (the literal interpretation, please, of) mazel tov. The month of Elul has begun, and it is a month to think and reflect on the past and on the future as we prepare for the new year. The rhythm of the Jewish year works well with our Texas academic year — now is the time we go back to school remembering the summer yet excited about another beginning. This past week, I was teaching this text (one of my many favorites): Babylonian Talmud, Bava Kama 82a, a compilation of teachings of third-sixth century scholars in Babylonia, with the final redaction in the sixth and seventh centuries. This is one interpretation used to explain why we read Torah on Mondays, Thursdays and Shabbat — we cannot go three days without water, without Torah. There are numerous texts comparing Torah to water — both being essential to life. So how can we study Torah every day? Ideally, Torah study is to be done with a friend. You read together and learn together. Today, for better or worse, you can have a million friends who you never talk to but can learn with — the Internet has opened Jewish learning to anyone with a computer. I start each day with email updates on Jewish philanthropy, Daf Yomi (a page of Talmud) and “Jewish Ideas Daily.” Sometimes I spend five minutes, sometimes longer and, yes, sometimes shorter, but there is something that works better than caffeine, and that is stimulating your mind with new ideas. Can you afford five minutes a day for Jewish learning? Can you afford not to? Both the ancient rabbis and the psychologists today remind us that learning new things keeps our brains growing instead of connections dying. Learning specifically Jewish is good but even the ancient rabbis knew we had to live in the world — in fact in the old days, rabbis had day jobs just like we do. Learning Torah means learning life — everything is in it. During this month of Elul, as we prepare for the new year, think about what you are going to learn this year. It could be a subject you’ve always wondered about, it could be learning to play mah jongg, it could be tennis (combine the physical with the mental). Don’t stop learning — it is as important as water. Laura Seymour is director of youth and camping services at the Aaron Family Jewish Community Center. When I was growing up, my parents often spoke Yiddish at the dinner table when they didn’t want the kinder to know what they are talking about. In her later years, my mom, ahava shalom, loved opportunities to speak Yiddish and was thrilled to report in this column when Shearith Israel began Mamaloshen Mornings eight years ago. She also enjoyed attending when she moved to Dallas in 2008. Founded by Mona Allen, Gordon Cizon and Ruthie Rosen, of blessed memory, the group meets on the second Thursday of every month on Shearith’s Douglas campus. 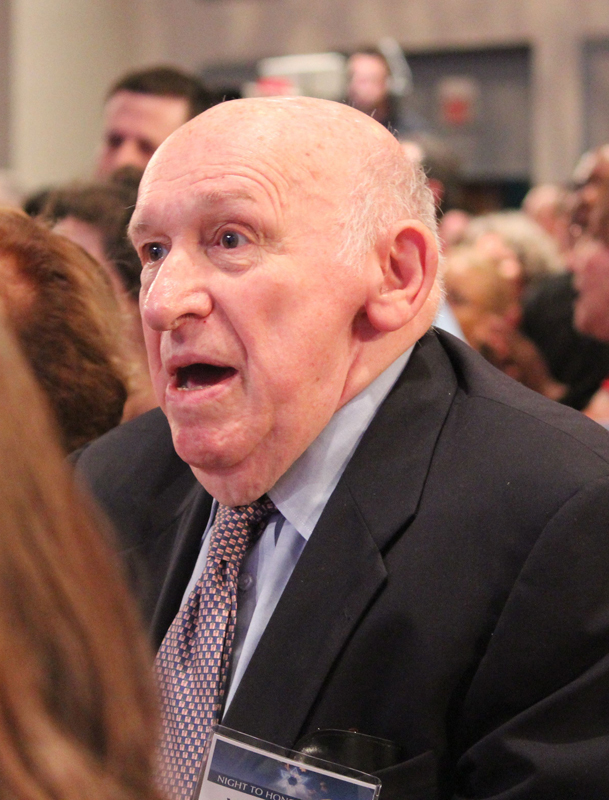 The next session, at 10:30 a.m. Sept. 13, will be held in memory of Rosen, for whom the Yiddish language was always a source of pleasure and fond memories. Ruthie was a vibrant contributor to the group and, unfortunately, she recently passed away at 96 years young. A wonderful storyteller, Ruthie spoke in her first tongue with ease. While participants range in age and backgrounds, all loved hearing (and mostly trying to speak) Yiddish with Ruthie. Many times, others would have to ask what she was saying since the room would be in stitches. Mona tells us that Ruthie was always smiling and making the best of life. It is in that vein that many will lakhn und essen (laugh and eat) in Ruthie’s honor at the Sept. 13 session. As always, the program is free and open to the community. It’s hard to believe that almost a year has passed since we ran a story on the new Sephardic Torah Center of Dallas. Founder Rabbi Zecharia Sionit is a warm, engaging individual. You can celebrate STCD’s first anniversary from 8-10 p.m. Sunday, Sept. 2, at Ann and Nate Levine Academy, 18011 Hillcrest Rd. The “friendship” event is open to all and will feature hors d’oeuvres, fine wines and desserts. It always warms my heart when I hear that Jewish kids who have gone through school together keep their connections close when they begin to go their separate ways. I particularly love the story Barb Altman shared with me recently about her and Arthur’s son, Gabe, and three other Levine Academy alums. Gabe; Daniel Borejdo, son of Judy and Julian Borejdo; Kenny Livingston, son of Eve Guth and Ed Livingston; and Max Grunewald, son of Jerri and Fred Grunewald, went all the way through Levine Academy together. Daniel and Gabe began in pre-K. Max joined them in first grade; Kenny in fourth grade. They were very active at Levine in sports (basketball and soccer) and honors classes in math and science. 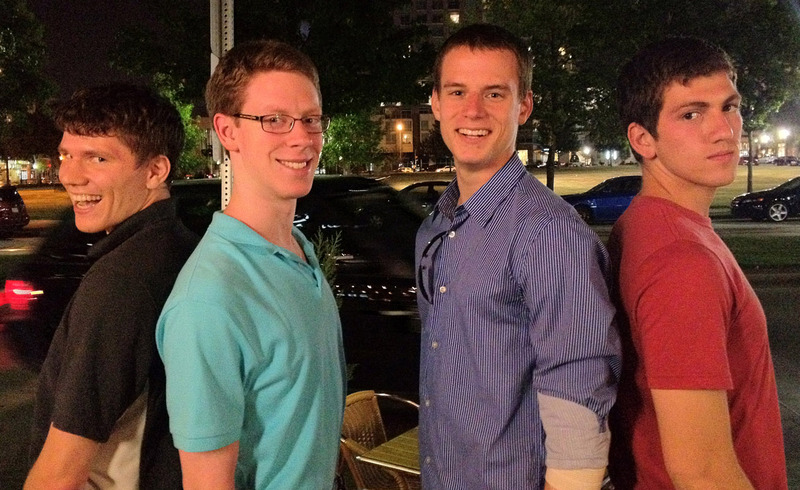 They graduated Levine in 2007, and even though they went to separate high schools — Gabe to J.J. Pearce, Daniel and Kenny to Greenhill and Max to St. Mark’s — they stayed very close friends, joining the same BBYO chapter. 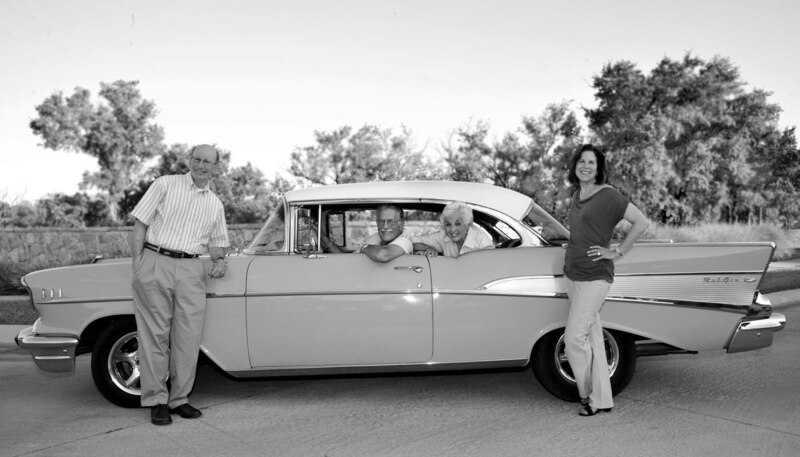 Soon after they graduated from Levine, Max suggested an annual family get-together, and the Grunewalds hosted the first one. Each year, a different family has hosted. The boys are now at different universities, Daniel at Drexel, Max and Kenny at UT-Dallas and Gabe at Georgia Tech. All are entering their sophomore years and have continued their affinity for math and science, majoring in various engineering and/or computer science/information technology fields. The same Levine Academy alums are headed back to college for their sophomore years. They also continue to be involved in Jewish life on campus, Gabe and Daniel have joined Jewish fraternities and Kenny and Max are active in Hillel. Barb shared that it was particularly hard to schedule a get-together this summer, as Max and Kenny were studying/working at Cal-Berkeley, Gabe was counseling at Ramah Darom and Daniel was working locally. Still, the families managed a find a date and meet at a restaurant for a wonderful dinner on Aug. 16. A running joke in the families was who was taller each year, so they have been documenting with photos each year. 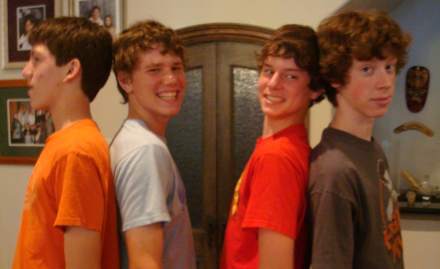 The 2007 photo gives Gabe the honors, but Max has them all beat now. Erica Arbetter, 20, who is set to begin her junior year at the College of Charleston, S.C., was elected president of the Student Government Association for the 2012-2013 school year. She will be the first female to hold the position in 18 years. Erica is a communications major with minors in arts management and political science. 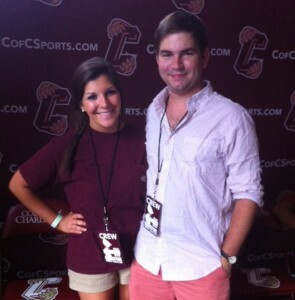 The College of Charleston, a liberal arts college with an enrollment of 10,000 students, was a great fit for Erica. She was elected SGA freshman senator and served on the PR committee. She was re-elected SGA sophomore senator and served as PR committee chair. Erica is also active in the College of Charleston’s Greek community as a member of Zeta Tau Alpha, for which she has served as community service chair and historian on the executive council. Erica has always demonstrated a passion for leadership, which developed during her years at Solomon Schechter Academy (now Levine Academy). She was elected student body resident at Frankford Middle School; student body vice president at Booker T. Washington High School for the Performing and Visual Arts; historian (orechet) for the North Texas Regional Board of BBYO; and a student representative for the International BBYO Public Relations Committee. Erica is the daughter of Fonda and Jay Arbetter; sister of Stephanie, a recent graduate of the University of Georgia; and granddaughter of Madelyn Schepps. • Dallas band RickyJoel (Joel Alhadef and Ricky DeVincent) released a new music video, “I am a Rock,” a tribute to Paul Simon and Art Garfunkel last week on YouTube. Check it out at www.youtube.com/watch?v=_vTUT29dXtc. • Save the date, Monday, Oct. 15, for Temple Shalom’s 11th annual Charity Golf Tournament benefitting the North Texas Food Bank at The Honors Club in Carrollton. The following week, Wednesday, Oct. 24, at The Tribute Golf Club in The Colony, Chabad of Dallas will have a charity golf tournament in honor of Howard Schultz and Nate Levine. • Traditions, the Judaica shop at Temple Shalom, now has gift cards. Traditions gift cards are available for any amount, are good on any merchandise in the shop and have no expiration date. Audiences at the 10 films to be shown during the Aaron Family JCC’s 16th annual Jewish Film Festival Sept. 6-29 will see the culmination of a long year of work that resulted in 90 percent of the movies considered falling to the cutting room floor. The 10 Jewish movies from around the world, with various themes pertaining to Judaism and Jewish life, are intended to be unique, thought provoking and entertaining. So co-chairs Brenda and Peter Marcus spent an entire year watching all of the movies sent to the J from filmmakers and distributors. They know immediately if the film is good or not. The Marcuses viewed 105 films this year, up from the 70 they saw last year. They narrowed it down to 25 to show their committee of 12 community members, who then vote for their favorites to choose the 10 that are shown. The committee is made up of Judy Borejdo, Catherine and Paul Lake, Barbara Lane, Ann and Steven Meyer, Haiya Haftali, Ted Rubin, Sydelle Schectman, Sol Stein and Carole and Joram Wolanow. They get the rights for each film from the distributors of filmmakers and are allowed to show it one time. In choosing the films, the Marcuses said they have specific criteria. 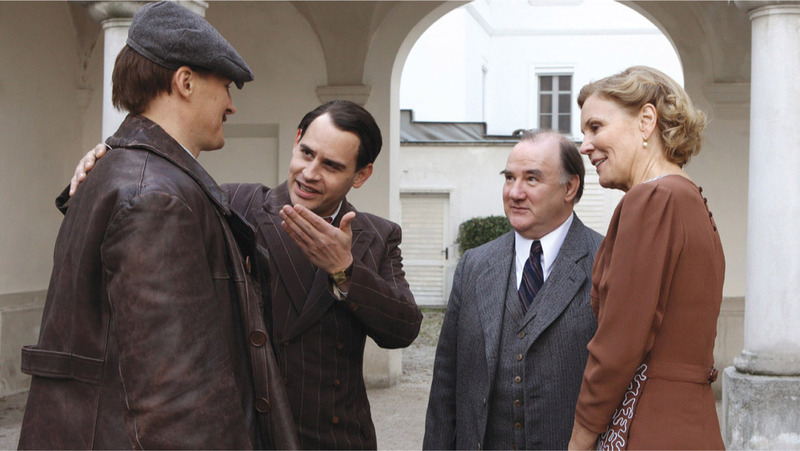 The movie has to engage the audience from beginning to end; needs to be thought provoking and stimulate discussion; shed light on little known aspects of Jewish life or history; and express the rich diversity of the ideas and values Jews bring society and the impact that makes in the world. The Marcuses believe this year’s 10 films adequately represent those themes. Some interesting trends stood out in the films they watched this year, the Marcuses said. First, there was a shortage of comedies, only four, and none of them met their criteria. The number of movies dealing with the Holocaust increased (they received 60 to watch) and for the first time, foreign movies depicting the relationship between Jews and Arabs came into play, two of which made it into the festival. These trends, they said, reflect the concerns of filmmakers today, and the co-chairs believe it was important for the community to be exposed to these films so they can become more educated. The Marcuses said the most rewarding part of this event is when the movie finally hits the theater and they see firsthand how the films they chose affect people. Watching all of the movies is time-consuming, but it is something they enjoy. Judy Cohn, the J’s director of cultural programs, added that though many Jewish film festivals take place across the country each year, Dallas’ is unique because only 10 films are shown and people aren’t bogged down with films that aren’t interesting. The film festival is supported by the Kenneth and Sherry Goldberg Philanthropic Fund of the Dallas Jewish Community Foundation, the Dallas Office of Cultural Affairs and the JCC. Opening night, Sept. 6, is $15, all other days are $10. A season pass can be purchased for $95. Tickets may be purchased at the JCC or at www.jccdallas.org. They are also available at the theater one hour before showtime. For information, contact Cohn at 214-239-7115 or jcohn@jccdallas.org. THURS., SEPT. 6, 7 p.m.
Daud, an 11-year-old, Muslim boy, and Yaov, a yeshiva student, live different lives. However, their paths cross in Brooklyn when Daud attends yeshiva, where he is accepted without question as one of their students. 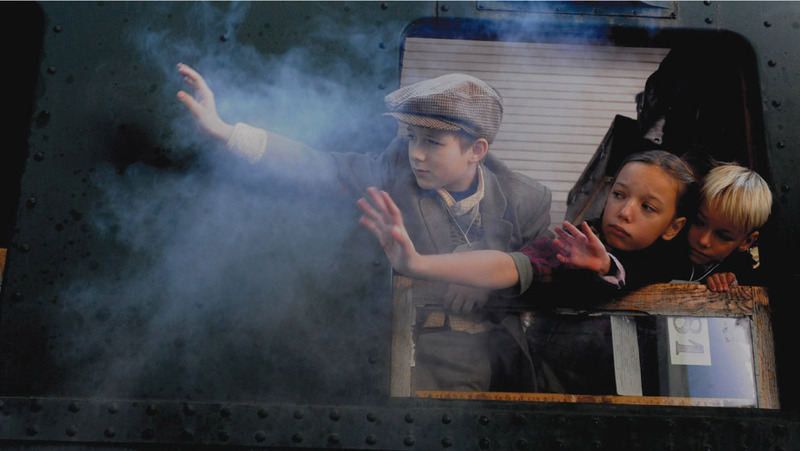 Daud and Yaov form a strong friendship and Daud conceals his true identity from his friend. A dessert reception will follow the film. Co-sponsors are the Dallas Holocaust Museum/Center for Education and Tolerance, the Consulate General of Israel to the Southwest and Congregation Anshai Torah. 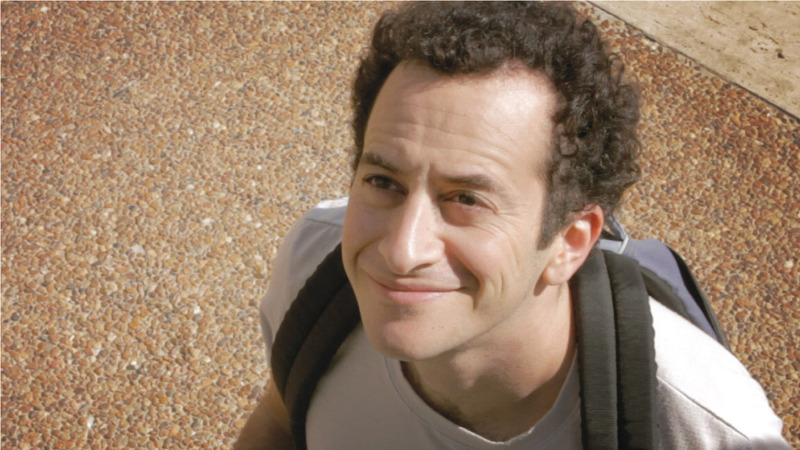 SUN., SEPT. 9, 7 p.m.
“A Wonderful Day,” a romantic dramedy in German and Hebrew with English subtitles, follows Shachar, a young, aspiring Israeli scientist. He receives a scholarship to study in Berlin and plans to propose to his girlfriend, who he hopes will follow him to Germany. His grandmother, a Holocaust survivor, opposes his decision to go to Germany and does everything she can to make him stay in Israel. “The Holocaust is part of this story, but it’s not what the entire film is about,” Brenda Marcus said. 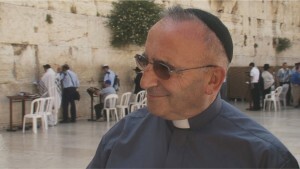 The documentary “Torn” is about Romuld Waszkinel, a Polish Catholic priest who discovers he was born to Jewish parents and that his name is Jacob Weksler. The film follows his personal journey from conducting mass in a church in Poland, to his life as an observant Jew on a religious kibbutz in Israel. TUES., SEPT. 11, 7 p.m.
Toward the end of the 19th century, Fania and her baby daughter arrive in Ottoman-controlled Palestine, survivors of the Russian pogrom. Soon, Fania meets Yechiel, a widowed farmer from a remote village in the North. She reluctantly agrees to marry Yechiel, but is concealing a terrible secret from her past. THURS., SEPT. 13, 7 p.m. Shortly before World War II, British stockbroker Nicholas Winton, masterminded the rescue of 669 Czech and Slovak children to Great Britain. This documentary features newsreels, photos and reenactments narrated by those that were rescued by Winton. Co-sponsors: Akiba Academy, Congregation Beth Torah and Jackie and Steve Waldman. SAT., SEPT. 15, 9 p.m.
Halina is a Holocaust survivor living in anti-Semitic Poland in the 1960s. In order to protect her family, she lives as a devout Catholic, but when she realizes her two sons join a Neo-Nazi gang, she leaves Poland and takes them on an adventure. The boys think they are going to Australia, but their destination is actually Israel and the boys find out they are Jewish. THURS., SEPT. 20, 7 p.m. 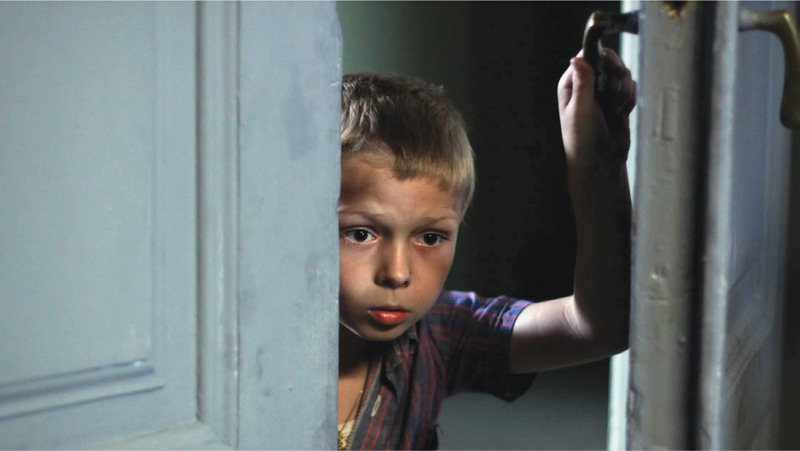 This film is a love story that begins in a concentration camp in Poland. Tomasz, a Polish resistance fighter, escapes and takes his Jewish lover, Hannah, with him. They become separated in the war and they believe each other is dead, until Hannah, who is happily married, finds Tomasz 30 years later. SAT., SEPT. 22, 9 p.m. 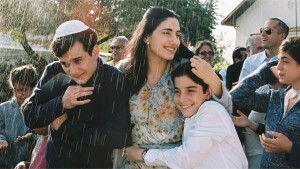 This French drama follows Tal, a teenager who recently settled in Israel with her family. She writes a letter questioning the endless hatred between the Israelis and Palestinians, which she puts in a bottle in the Gaza Sea. A heated Internet conversation then begins between Tal and a mysterious man, a young Palestinian who finds the bottle. “This is about Jewish-Arab relations and how children in the region go about their lives, even with all of the politics that take place,” Brenda Marcus said. SUN., SEPT. 23, 7 p.m.
Yoni is an underdeveloped child who is bullied at school, and his parents are estranged. To complicate matters, his 17-year-old autistic brother, Tomer, expectantly returns home and the family is forced to face the painful truth about themselves. Co-sponsors: Café Israel/Jewish Federation of Greater Dallas. SAT., SEPT. 29, 9 p.m. This thriller is about Viktor Kaufman, the son of a wealthy art dealer in Berlin. His best friend, Rudi, joins the Nazi Party, betraying Viktor and his family. However, a priceless piece of artwork can either rescue the family or secure Rudi’s position in the party. I had the privilege of being on hand at Beth-El Congregation’s religious school opening day Sunday. This event featured a pretty cool American Jewish museum detailing the impact of Jewish immigration on America. Also present was a lot of energy from students, parents, teachers and Ilana Knust, the religious school director. No, we don’t. And the best way to keep track of the upcoming holidays, observances and rituals is by finding a Hebrew calendar. These are readily available online, and now is a good time to start knowing when those holidays take place — and it’s never too soon to think about preparations. We just learned that Marissa Nicole Sands, daughter of Linda and Edward Sands (of Mansfield), is engaged to Yosi Sandler of Monterrey, Mexico. Marissa and Yosi met at Camp Young Judaea in 2005; Marissa made aliyah in 2009 and Yosi joined her in 2011. These days, the couple resides in Tel Aviv. The wedding is planned for fall 2013 in the Dallas-Fort Worth area. Our congratulations go out to the couple and their families. The High Holy Days are still a few weeks off and we’re still in that lazy period. So if you find yourself with absolutely nothing to do this Sunday, Sept. 2 (Labor Day weekend), take a swing by Congregation Ahavath Sholom at 4050 S. Hulen St., set up your lawn chair, haul out your picnic basket and prepare to be entertained. No, not by the traffic whizzing by on Hulen, but rather by the free outdoor movie, “Mamma Mia,” which is being underwritten by the B’nai B’rith Isadore Garsek Lodge No. 269. The movie itself is free. If you’re hungry, snacks (popcorn, hot dogs and drinks) are $1 and are going for a good cause — BBYO. The outdoor movie begins at 8 p.m. There is also an indoor showing that will begin at 7:45 p.m.
Jim and Elaine Stanton are chairing this event. For information, call the Movie Hotline at 817-927-2555. The organization’s Person of the Year award dinner will take place on Sunday, Oct. 28. We don’t have the specific details just yet, but we known enough to let you folks know that authentic Russian food will be served, with Klezmer music as the entertainment. Sounds like a really great time — stay tuned for more information. The event is free and includes breakfast. Questions? Feel free to call Ina Singer at 817-292-1580. The sisterhood of Colleyville-based Congregation Beth Israel is doing a bang-up job collecting school supplies and other things for the Grapevine-Colleyville ISD. The community has turned out en masse with all kinds of donations. Items still needed include zippered binders, socks and underwear (sizes 3T through 6-8, for accidents and spills among the younger kiddos). If you’re interested in donating, leave those items in a box in CBI’s lobby at 6100 Pleasant Run Road. The most recent event enjoyed by the Sylvia Wolens Daytimers was a trip to the Modern Art Museum, where participants enjoyed their tour of the “Lucian Freud Portraits” exhibit. 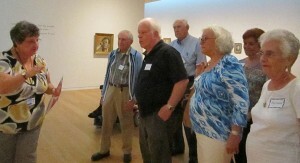 Thanks goes to museum docent Cheryl Levy, who arranged to have the tour at no cost. Barbara Rubin tells us that the next Daytimers’ event will deviate from its usual Wednesday slot and will take place on Monday, Sept. 24, at Beth-El Congregation, 4900 Briarhaven, where the guest of honor will be Cantor Bruce Ruben. Ruben is director of the Debbie Friedman School of Sacred Music at Hebrew Union College and will present “The Impact of Jewish Music on the American Musical Theater.” The cantor is returning for a third year to Beth-El as the synagogue’s High Holy Days cantor, and the event should be a highly entertaining one. And, yes, lunch is available. The cost for the entire event (including lunch) is $9 each; if you’re interested only in the program, it’s $4. For information and/or reservations, call Rubin, 817-927-2736, or Hugh Lamensdorf, 817-738-1428, or log onto www.bethelfw.org/donations. If you’re looking for ideal way to extend holiday greetings, consider buying a special jar of honey through Congregation Ahavath Sholom’s Ladies Auxiliary. An 8-ounce jar of honey costs $10, which includes a personalized card wishing your recipient a happy and healthy new year, a notification that a donation in the recipient’s honor has been made to CAS’ Ladies Auxiliary and shipping and handling in the United States. The auxiliary will also ship this product outside the U.S. for a small extra fee. But time is running out — Sept. 7 is the last day to order this sweet greeting. For information on this fundraiser, visit www.ahavathsholom.org or contact Linda Lavi at 817-731-4721 or giftshop@ahavathsholom.org. To send information about weddings, trips, the award your son or daughter received and so on. Again, this is “Around the Town” — meaning we need news from “the town.” In other words, readers! Send information (and photos) to me at awsorter@yahoo.com. Your question is one that I, personally, have grappled with and has been the source of much discussion among the Baalei- Mussar, the ethicists of the mussar movement. Mussar emphasizes self-development and growth, stressing brutal honesty with one’s self with regards to character traits and areas such as prayer. They grapple with the challenge of spontaneity and emotion versus repetitiveness and praying by rote. This question, or disturbance, comes across my mind almost daily when praying with a minyan, when I often feel like I’m holding on for dear life to the back bumper of a car speeding down the road with my knees banging on the pavement. In fact, I nearly never finish my Amidah, silent prayers in time to answer the Kedushah recitation with the congregation. I brought the question before the (recently passed) leading sage of our generation, Rav Elyashiv; is it better I should speed up my Amidah in order to answer the Kedushah? Why, then, don’t these rabbis, who are very practical, recommend we shorten the service or minimize the number of daily blessings from 100 to a few a day, as you suggest? The answer to this penetrating question, as in all such questions, is multi-layered; we will try to offer some food for thought. Imagine a musician who wasn’t able to muster up enough emotion to play Beethoven’s Fifth Symphony all the way through with full concentration; he always felt he was finishing the second half by rote. Could anyone imagine he could actually shorten the symphony in order to be in sync with his emotions? To shorten or change the notes of the maestro? That would be musical blasphemy. Any musical enthusiast would tell him that, although the music would certainly sound better if he could invest his full emotion all the way through, it’s still a piece that stands on its own right. The complete masterpiece, even without full emotion, is still greatly superior to a modified one that doesn’t convey the intention of its composer. The authors of the Siddur were 120 sages at the time the Second Temple was built — the “Men of the Great Assembly.” Among them were the last prophets of the Jewish people. They prophetically peered into the deepest secrets of the heavens and the Torah, seeing how the Temple offerings and prayers offered there affected the upper, spiritual worlds and the soul of man. The words they composed were the notes to a grand symphony, the song of the Jewish people, the poetry of the Jewish soul. It is true that any and every blessing or prayer uttered stands on its own right and is beautiful in the eyes of God; it’s not an all-or-nothing deal. To get the complete picture, however, and to have the optimal impact, it takes all the notes together to hear the symphony. The challenge is to use the notes of that symphony to express the emotions of the soul rather than to recite it with lip service only. This is a work of a lifetime; indeed, I have seen the world’s leading sages, including my mentor Rabbi S.Z. Aurbach, whose blessings and prayers were legendary, to work until his final days to achieve higher and deeper levels of feeling and concentration. The recommendation of the Baalei Mussar is that everyone picks something small: one daily blessing, or verse, to be their avodah, their focal point of concentration, feeling and service of God. Only after that berachah or verse (such as the Shema, etc.) has become part of one’s very essence, one should move on to the next one. In this way, every Jew has that level of intense concentration daily that you seek, but also remains with the entire symphony. And, as personal experience has borne out, when one fully concentrates on one section of the prayers, it has a ripple affect across not only the prayers but everything one does to serve the almighty throughout the day. That effort, that struggle and that achievement are the hallmark of the Jewish people. This time of year means a lot of things. We can look forward to (somewhat) cooler temperatures, back-to-school activities, the High Holy Days … and this year’s free outdoor movie, generously underwritten by the B’nai B’rith Isadore Garsek Lodge No. 269. This year’s movie is “Mamma Mia,” which starts at 8 p.m., Sunday, Sept. 2, at Congregation Ahavath Sholom’s parking lot at 4050 S. Hulen St. The film will be shown inside (starting at 7:45 p.m.) in the event of inclement weather. The event itself is free (movie-goers are encouraged to bring lawn chairs). Popcorn, hot dogs and drinks will be on sale for $1, with proceeds going to the BBYO. 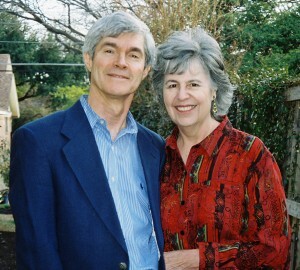 The event is chaired by Jim and Elaine Stanton; for information, call the Movie Hotline at 817-927-2555. Irv Robinson was nice enough to share his experiences at the Rabinovich family reunion, which took place July 27-28 in Denver. Irvin and his wife, Jacquiline, were in attendance, having driven all the way. “My father’s brother had eight children, so there were lots of kids and grandkids. So much for genealogy,” he writes us, adding that he and Jackie spent “six cool days in Vail.” I’m jealous. At any rate, Irvin shared other news about his family — son Jeff lives in Houston and has three children, while daughter Courtney graduated from Texas Wesleyan law school last May. Hayley, meanwhile, is working toward her master’s degree in dietary science in Houston, while Zane has completed his freshman year at UT-Austin. Thanks so much for sharing and best of luck to your offspring! The Jewish Federation of Fort Worth and Tarrant County’s Young Adult Group has plans to see the movie “Four Day Weekend” at 7:30 p.m. this Saturday, Aug. 25. For information about this event, or for information about the YAG in general (geared toward folks between the ages of 21-45), contact Angie Kitzman at the Federation at 817-529-0892 or email her at a.kitzman@tarrantfederation.org. Ilana Knust, religious school director from Beth-El Congregation, tells us that the first day of religious school, Sunday, Aug. 26, will be a special day. An American Jewish Museum will be on hand at the synagogue, 4900 Briarhaven Rd. This “museum” will present exhibits from 1654 (when the first Jews landed on America’s shores) through today. Following the exhibit, students and parents will go to classrooms together and write their personal family stories on a cardboard suitcase. This ties nicely into Beth-El’s religious school theme for this year “America and Jews — Our Love Story,” which, appropriately enough, will focus on how Jews have contributed to America and its successes. This is a terrific topic and seems like a wonderful event. For more information, contact Ilana at 817-332-7142. Beginning Tuesday, Oct. 16, Jewish Family Services will offer a six-week grief support group, specifically dedicated to individuals who lost their spouses. The group will meet Tuesdays at 4 p.m. at JFS offices, 4049 Kingsridge Rd. Registration is required by Oct. 10 — call 817-569-0898. The fee is $25. We’ve learned that the Fort Worth Hadassah’s “Beat the Heat” event, scheduled for this coming Sunday (Aug. 26) has been cancelled. It was believed that the date was difficult for many people to attend, especially with most public schools starting the very next day. Michal and Rabbi Andrew Bloom of Congregation Ahavath Shalom, who celebrated their 19th anniversary. May you continue to have joy and growth in your relationship. Speaking of CAS, we’ve learned that the Ladies Auxiliary at that synagogue has launched its honey fundraiser. The $10 cost will include an eight-ounce jar of honey, a personalized card wishing the recipient a happy and healthy new year, notification that a donation in the recipient’s honor has been made to CAS’ Ladies Auxiliary and shipping and handling in the U.S. The Auxiliary will also ship this product outside the U.S. for a small extra fee. Sept. 7 is the last day to order this sweet greeting. Interested? Log onto www.ahavathsholom.org for information and a form, or contact Linda Lavi at 817-731-4721 or giftshop@ahavathsholom.org. Thanks to everyone out there who is feeding me news — I appreciate it! Please keep it coming to me at awsorter@yahoo.com. Just as a reminder, “Around the Town” reports on news in Tarrant County — anything east of SH 360 should be directed to the attention of our fine publisher, Sharon Wisch-Ray, or managing editor Dave Sorter. The rabbis instituted blessings to recite every morning for our basic needs such as power of sight, ability to stand up and walk, etc. The first blessing recited is for giving the rooster the insight to distinguish between day and night. How does that figure into our basic needs like sight and walking? Also, it doesn’t take that much insight and intelligence to differentiate between day and night; this is a natural, physical distinction. Why should this come under the category of “understanding”? Excellent questions. The early commentators of the Siddur (prayer book) have raised your questions. As with the entire Siddur, there are numerous layers of meaning supplanted by our sages to each word of the prayers; we shall attempt to understand this blessing on different levels. Some commentators to the Talmud translate the word sechvi as rooster, as you mentioned, and that we are thanking God for giving the wisdom to this animal to be the world’s first natural alarm clock. This is the simple meaning, fitting in with our basic needs, the first of which is to wake up in the morning. However, as you pointed out, the blessing uses the word lehavchin, which is used in Hebrew for a deeper type of differentiation than simply seeing the sun rise; this word refers to a deeper understanding. Other Talmudic sages interpret the word sechvi as heart, referring to the capacity of man to differentiate between night and day. This, however, does not seem to reconcile the issue. Why does man need deep intuition to tell between dark and light? Some answer this by the fact that the rooster does not actually wait till daybreak to commence its crowing; it senses that day is about to begin, the first rays of the sun are soon to break the horizon and begins its mission while it is still dark. The rooster senses the imminent light from within the darkness, a unique endowment to this animal. This is also an analogy to the endowment of human wisdom. Every day has periods of light, representing clarity, peace of mind and success. There are also spurts of darkness that can last for some time, times of confusion, challenges and difficulties. It takes a level of wisdom, patience and maturity coupled with belief and trust to not get caught up in the darkness, rather to find the light in the darkness and the silver lining in every cloud. One needs to look at the rooster to derive inspiration that the darkness will eventually lead to light. With this, the two commentaries of rooster and heart become one bigger reality reflecting upon the totality of the human experience; hence this is the first blessing recited. Some point out that this also reflects the Jewish attitude on life. The rooster crows only with the onset of day but not when day turns into night. We always believe that no matter how difficult things might be, either individually or as a nation, there is always a brighter future in store; things will be all right. We look at every new day with positive anticipation and excitement; the dawn of a new time to accomplish and grow and make a difference in the world. One sage understands the rooster to be used symbolically in this blessing, which praises God for creating the intricately connected ecosystem that is our world. Flora and fauna, animal and human — each element is connected to every other. The rooster’s crowing acts as a natural alarm clock for human beings; it is the first manifestation of this interconnection and of the many ways in which the entire natural world is meant for our benefit. All the above requires a deeper intuition, lehavchin, to use one’s full faculties and understanding to plumb to the more subtle depths and nuances in the world and in our lives. Our ability to do so is a divinely endowed gift, one that enables us to understand life itself, and is certainly worthy of our thanks to the One who gifted it to us. The singer Matisyahu, who used to study with Rabbi Fried, asked this question during a meeting while he was in Dallas for a July 28 concert. Ever see a hora break out spontaneously on a church floor — twice? Did you ever think a (female) fiddler on the roof could transform into a veritable Charlie Daniels beating down that devil visiting Georgia? More importantly, would it warm the Jewish soul to hear a Christian apologize for her religion’s apathy during the Holocaust and its “waking up to the debt it owes the Jewish people,” in the words of Eagle Mountain International Church Pastor Terri Copeland Pearsons? All of that happened Sunday night during the second Night to Honor Israel at Eagle Mountain International Church in Newark, just north of Fort Worth. About 60 members of the Dallas Jewish community rode a bus to the event from the Aaron Family JCC, and more than 130 people gave RSVPs, according to Karen Garfield, southwestern region executive director for Israel Bonds, one of the Jewish organizations supporting the evening. The unifying message was the state of Israel and the shared passion among Christians and Jews that Israel is on God-given land and must continue to be able to defend itself. And, that Christians are beginning to realize that “replacement theory,” which basically states that the New Testament replaces the Hebrew Scriptures, isn’t valid. “We accept the Torah as the word of God,” said Pastor John C. Hagee, founder and chairman of Christians United for Israel, during a taped message Sunday night. In fact, the name Jesus Christ was uttered from the pulpit just once at the event, in relation to his Judaism. 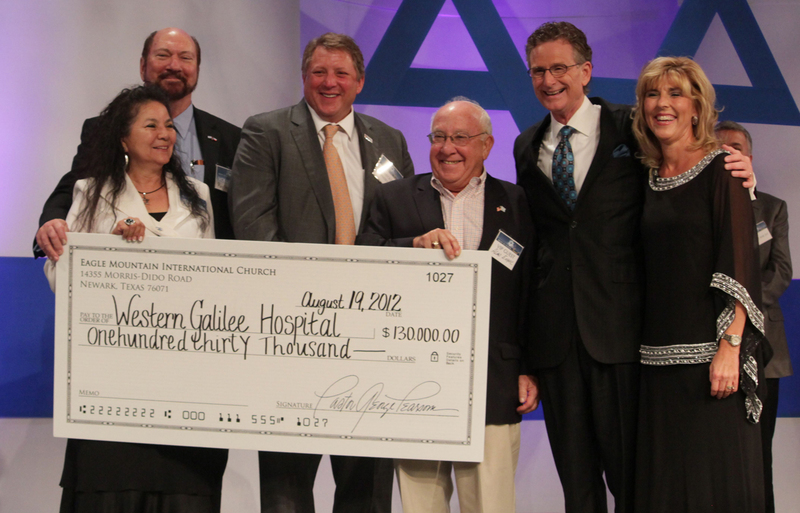 The evening was also financially successful, raising $200,000 for three Israeli non-profit organizations. The Western Galilee Hospital received $130,000, while Israel La’ad, which distributes food baskets to the needy in Israel, and Larger Than Life, which supports Israeli children with cancer and their families, received $35,000 each. Christians United for Israel, in which Pearsons and her husband and co-pastor, George Pearsons, are heavily involved, was prominent during the evening. Terri Pearsons and CUFI executive director David Brog, who is Jewish, were keynote speakers, and Sam Bain, state chairman of the Ohio College Republican Federation, also spoke. Bain said his organization has been debunking myths that he believes have been perpetrated by university professors. He followed with the most political phrase of the evening. Maya Kadosh, the Houston-based deputy counsel general to Israel in the Southwest, said she had a ready answer for those who believe Israel lies on stolen land. Bernie Appel of Fort Worth sings “Shalom Aleichem” during a musical portion of the Night to Honor Israel. Brog, once named one of The Forward’s 50 most influential Jews, said that supporting Israel is not only the right thing to do, but it is in the United States’ best interests, especially given the threat that a nuclear Iran could pose. Brog went on to demonstrate that the argument that terrorists hate the U.S. only because it supports Israel is, in his words, “ridiculous” — the Muslim Brotherhood considered America a threat to Islamic culture 20 years before Israel was established, he said, and Iranian Muslims hated the U.S. because of its support for the Shah of Iran in the 1950s. “Our support of Israel is an example to be replicated, not a mistake to be eliminated,” Brog said. He added that while the United States have spent trillions of dollars and lost thousands of lives trying to create “new Israels” in Iraq and Afghanistan, nothing has come of it — while Israel continues its fight of shared enemies with $3 billion of U.S. aid per year and no loss of American lives. 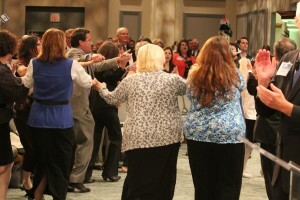 A group dances the hora during the Night to Honor Israel Sunday at Eagle Mountain International Church. The evening featured music from the EMIC band, including a rowdy version of “Shalom Aleichem” that had Christians and Jews alike — waving U.S. and Israeli flags — dancing the hora. After Brog spoke, band member Melissa Spangler played a moving “Hava Negillah” on the violin that combusted into another hora and some fast fiddle runs that would have had the devil escape Georgia and head back to Iran. Pearsons also thanks the Jewish religion, as that “older brother,” for giving her the opportunity as a “Zionist Christian” and descendant of Abraham, Isaac and Jacob, to devote her life to God. In a recent TJP, Rabbi Yaakov Rosenblatt lamented the turn that Jewish singer Matisyahu has taken: No longer bearded and kippah-ed, he has shed Orthodoxy in favor of a bare, dyed-blond head and is “walking a new path,” as he recently tweeted to followers (or former such, like our local rabbi). 1. Is Jewish music anything written by any Jewish composer? For instance: Do Leonard Bernstein’s Latino-based songs from “West Side Story” qualify? How about Irving Berlin’s “White Christmas” and “Easter Parade”? And does anything performed by a Jewish musician qualify as Jewish music? 2. Is Jewish music anything that draws from Judaism, regardless of the composer’s own religion? An example: Do the recognizable, poignant themes in non-Jewish Dimitri Shostakovich’s Piano Trio No. 2 and String Quartet No. 8 in C minor — the latter dedicated to “victims of fascism and war” — qualify? Does any Jewish-themed music performed by non-Jews qualify as Jewish music? On the local scene, we’ve had the opportunity to hear Joshua Nelson, a convert to Judaism (and now a Hebrew teacher) singing all kinds of songs. Are they Jewish music or not? How about the Gospel choir “Level Ground” that recently joined Congregation Anshai Torah’s Kol Rina to sing together, Hebrew prayers as well as African American spirituals: Was this Jewish music or not? Nelson and Russell are both African American, a race closely associated with gospel music, as opposed to Yiddish music, closely identified with Jewish people. Russell had already become a Jew before singing the partisan song, and also before he heard the Yiddish song “The Miller’s Tears,” a recording used by the Coen brothers on their soundtrack for “A Serious Man.” Another Robeson connection: Russell first thought that’s whose voice he was hearing in the film. But the deep bass actually belonged to the late and lately little-remembered Sidor Belarsky, a Ukranian Jewish singer popular many decades ago. Chesnoff quotes Russell: “I decided I wanted to revive Belarsky’s works, and I wanted to sing them first for Jewish audiences.” He has since located old records and sheet music to develop his “Sidor Belarsky Songbook,” which he’s already presented in New York and Toronto venues, and will soon be taking further on the road. Russell singing Yiddish seems to me a sort of reverse of Matisyahu going punk, providing interesting listening while somehow reprising that serious old question for Rabbi Rosenblatt and the rest of us: Just what is Jewish music, really, anyway? I write all this on the same day we learned from news reports out of Budapest that the country’s far-right, anti-Semitic politician Csanad Szegedi actually has Jewish roots. So what else is new? He probably grew up somewhere in Hungary, humming “Hatikvah” and not even knowing it.